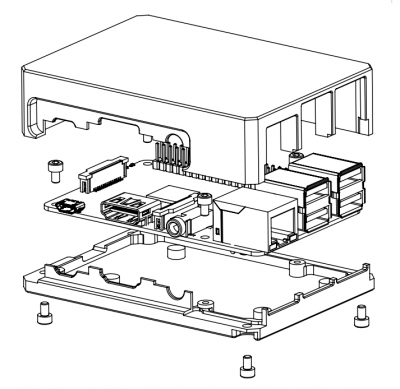 You don’t need any other tools to fully assembly your Raspberry Pi B+ into new case. Below are some drawings from prepared PDF file. If you need one, please write me an email, if you have other questions – leave comment below. I will answer to all questions. Also if you need one customized according to your needs, don’t hesitate to ask. I can arrange manufacturing process for small quantity. i a looking for a professional looking raspberry pi b+ case for an exhibition and i like this one. how much would it come with shipping to germany? are there other anodization colors available perhaps? Hi Mat, anodizing is only black at the moment, though custom order can be colored in any color you like. Also cases can be laser engraved. For more details check your email. can you send me also more details for a custom order? Hi Adrian, please check your email. Obviously you have already sold all v2 revision enclosures? I am still interested to buy one. Is it possible? Hi Pentti, Actually not everything is sold out. Please check your email for details. Can you send me more details for a custom order? Hi Pascal, replied to your email. can you send me more details for a custom order (price for laser engrave, color)? Hi Tobias, cases can be engraved and anodized in different color. Please check email I have sent you. 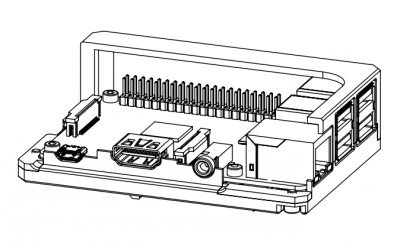 Is it compatible with Rpi 2? Hi, it should be. 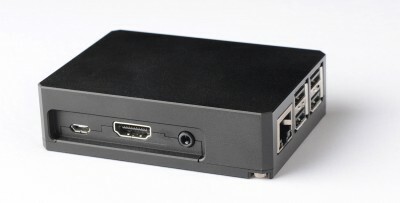 I will receive RPI 2 in a few days and post a note about it. I would like to buy 2 of your raspberry cases, but the price is a bit high for me. Can i buy direct from you in EUR ? Please make me your best offer. I Can pay direct to a european IBAN. Hi Vitor, please check your email. Can you email me the details on laser etching? I am also interested in other customizations. Hi Ron, please check your email. I am interested in customization with laser logo etching in volume. Can you email me for more details? Hi Cindy, please check your email. Nice looking case, am interested in small volume purchasing, no customization required. Please send details at your convenience, US based. Dear Brian, please check your email. May I ask when it will again be available on eBay to purchase? Also, has anything changed in design of new production to match repositioned IC? Hi Anthan, I expect to have new cases in a month. Nothing has been changed in this batch – old heat-sink covers RPI2 CPU pretty decently. I am waiting for new batch to arrive. Also replied to your email for some more details. Any news regarding the new batch availability? Hi Athan, shipment is on the way to me. Give me 7-10 days to receive it. I will re-list on ebay as at once. 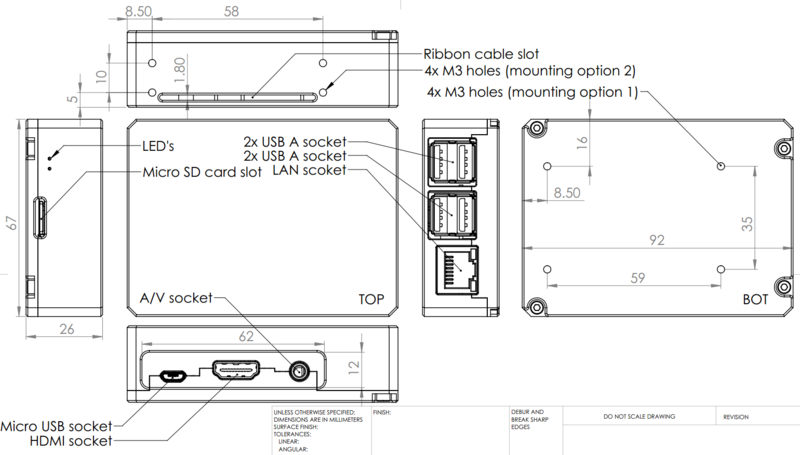 I do not see an access slot in case for the VESA connector. Is that a custom modification? 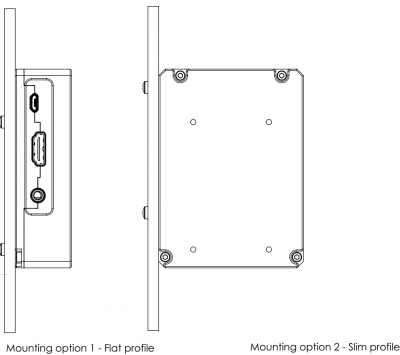 Hi Phil, separate adapter has to be made to fit VESA mount. It’s pretty simple – let me know if you are interested. 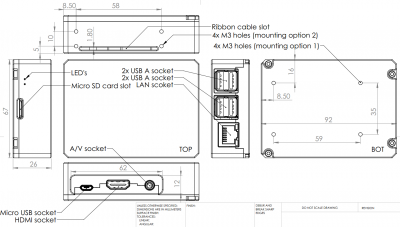 I do not see an access slot in case for the DSI display connector. Is that a custom modification? Hi Phil, DSI is unused in RPI, so it’s kind of useless making a slot. But if you need one, you can use large slot at the side of case. Or if having DSI slot in the right spot is crucial for your application let me know – there is no problem making it in new revision. May I ask when it will again be available on eBay to purchase? Hi Madkym, will relist soon – kitting last few units from last batch. Did you re-list it ? Have I missed thenm ? I hope not. Not yet. Cases stuck for a while. Doing my best to get them as soon as possible. Will let you know as soon as I have any news. 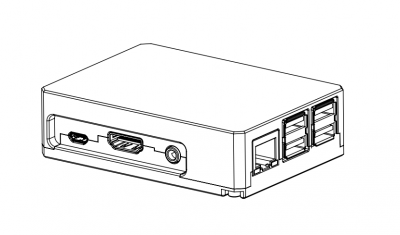 I really like the Raspberry Pi enclosure! Can you provide more information about the customizations mentioned in the post? I am looking for an enclosure that would have an option for a DB-9 connector. Thank you for your time. I just received the enclosure I ordered. It’s incredible and I intend to order a few more in the future. I too would be interested in the information that Brice asked for above, as I’m also looking at a DB-9 connector. The only downside I’ve found is that Switzerland is not part of the EU and I get hit with import taxes, which is never fun. Are there any options for minimizing such taxes, such as having you (the seller) deduct EU taxes and add Swiss taxes? (Naturally I, the buyer, would pay such taxes.) I know that other shops like Amazon can do this, but I have no idea as to the amount of administrative work required. Maybe distribute it through Amazon’s “Fulfilled by Amazon” service (you send it a bunch to their warehouse, they handle the inventory and shipping)? I ask because I know several people outside of the EU (in the US, in particular) who would be interested in buying several cases but the import taxes and shipping can be quite high. Hi Pete, thank you for your thoughts. Unfortunately listing things on Amazon is complicated and costly, but maybe I missed something. Will double check and drop you a note to your email. I just received the enclosure, it is definitely a piece of art! Well done indeed. Are the thermal pads required for a RPi B+? I do not intend to overclock it, but I do intend to use a small shield and the thermal would be in the way. Appreciate your thoughts. Glad to hear you liked it! Thermal pads are optional and with this massive aluminum case it will stay pretty cool even if you overclock it. Are you still selling this case? I couldn’t find it on ebay. Thanks! Hi Bill, glitch with supply chain. Will let you know as soon as receive new batch. Please check http://www.kurokesu.com/shop/KITRPI2C. Raspberry pi case is available again. On the way to Lithuania. Should be available next week. I try to buy at kurokesu but International Shipment to Mexico is not available, will you put into ebay again? I need 6 of them. Hi Mike, check your email for more details. I was just curious as to whether or not you have a variant of the case that would accommodate a DAC such as the HiFiBerry Pro. I have not manufactured one, but if there is a need a need I can make. Thanks for the prompt reply. When you get a moment, could you provide any additional detail regarding such a customization. Price, minimum order quantity, etc. 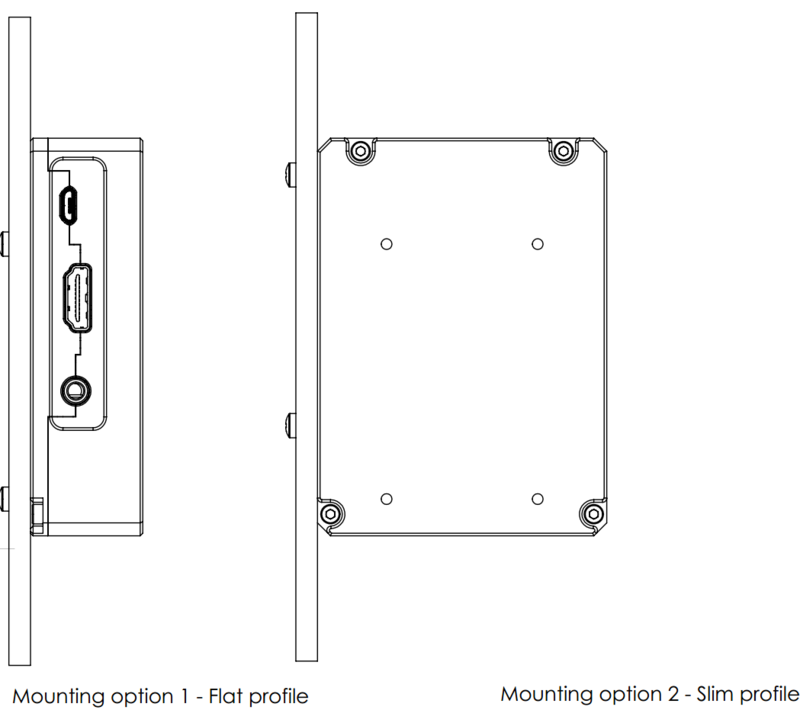 Hello, are You planning to modify enclosure to be fully suitable for RPi 3? I mean WiFi issue. Hi Dimitar, making it to be compatible with internal wifi means some part has to be made of plastic this complicates design and increases price. So for now I have no plans making it fully internal WiFi friendly. Also if you need to use WiFi at close range it works without any modifications. 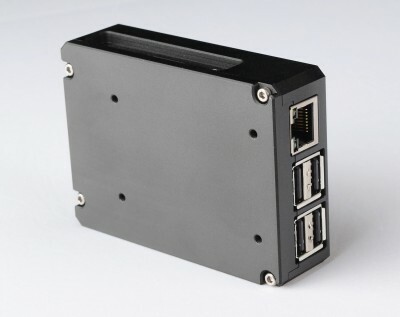 I was looking for an elegant case for my RPi3, in order to utilise it as a networked media player. I was disappointed when I found out in the drawings that there is a long slot with 4 holes for screws on the front side (opposite of the side that the HDMI port is located). Whilst this is useful for makers for utilising the GPIO, it will look plain ugly next to my TV set, so it’s a no-no for me. Are there any plans to produce in the foreseeable future a more media-oriented, stylish case without this feature? Probably not, I guess, but it is better to ask than presume and look away. Actually new version (due to be released next week) has no slot and is slimmer. Will let you know as soon as receive new shipment. I love the look of this case. Nice Job! Very interested to see the new version you mentioned above too. Could you email me please so that I can share some plans with you about a project I am starting. I may have a requirement for lots of these cases from you. Hi Dave, thank you for kind words! Will send you email in a few moments. Noriu paklausti, nedarant RPi3 dėžutes modifikacijų, kiek stipriai realiai yra slopinamas WiFi signalas? Turiu vieną netipinį projektą kur RPi veikia kaip WiFi AP prie kurio jungiasi plančetinis kompiuteris. Atstumas tarp įrenginių max 2m. WiFi signalas žinoma slopinamas, bet planšetinis kompoiteris už 2metrų tikrai veiks.